It’s Raining Books—Win Them All! Hello Spring! features stunning photos of animals awakening from winter naps and plants bursting with color. The Runaway Egg chronicles how tricky it is to be a big brother. Rain celebrates the special charms of wet weather. The Tree shows the harmony that can exist between humans and nature. To enter this week’s giveaway, let us know which of our freebies make you want to run out and catch raindrops on your tongue. Submit a comment to this blog by 11:59 pm EDT on May 8, 2017. One lucky teacher will be randomly selected to win. Did you know that International Literacy Association members save 20% on ILA professional resources? Get the scoop at literacyworldwide.org/books. Teacher Appreciation Week is May 8-12. Download some fun resources to celebrate the many teachers in your life, and encourage students to do the same. 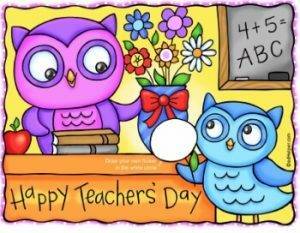 At teachersday.com, you’ll find free printable workbooks, cards, posters, and more. Click here. The rain has to stop sometime. 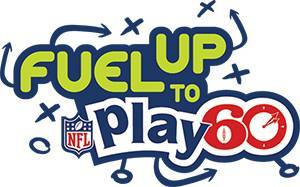 Get ready to get active by applying for a Fuel Up to Play 60 grant. Get all of the details at fueluptoplay60.com. Applications are due June 14. PS: We have other contests running too. Check out Wonder of Wonders and Music to My Ears for chances to win even more prizes! I just discovered this book “Preventing Misguided reading” I am going to have to buy it. Has anyone read the book? Does anyone have an opinion of the book? I am very curious! Hello Spring sounds like a delightful book to share with students. I like the sound of “Hello Spring”. I love the Runaway Egg, so that’s the one I’d say is a favorite! The International Literacy website looks like it has lots of resources I will be able to use, starting with Misguided Reading. I don’t know if I will catch raindrops on my tongue, doesn’t rain much here, but hopefully.. They are ALL great reads! However I am partial to Rain, in an attempt to find the beauty in all that yucky wet stuff! I know how necessary it is, but c’mon – enough is enough already!! I’m with you, Christine. It has been raining for DAYS in North Carolina! I will definitely be checking out the Teachers Day website. Thanks for sharing that resource! I LOVE trees so I would pick The Tree! The Tree would be a wonderful and fun read for my preschoolers. I love the Teacher Day resources! I would love to add these books to my classroom library! The misguided reading concept is intriguing, and who doesn’t love something sponsored by the NFL? The Fuel up to play looks good. I’m in NC, and it’s been raining for days…I’ll choose the Rain book. The Runaway Egg sounds like a great book for students to make connections to. 🙂 Thanks so much for such a wonderful opportunity to win these delightful books! 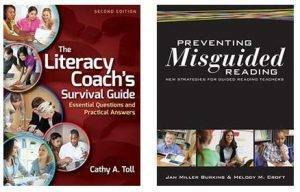 I would love to read the Preventing Misguided Reading book. Looking forward to checking out teachesday.com! Thanks so much for the link to teachersday.com …. awesome! 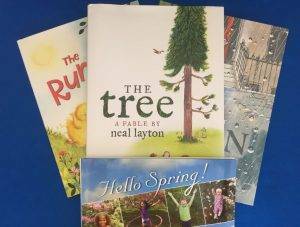 I think ANY of the books would make me want to run outside and catch raindrops on my tongue, but if I had to only choose one, I think THE TREE would be a great addition to our 2nd grade classroom library! The Teacher Appreciation Week goodies are great! The Tree book looks interesting. And thank you for the freebies! You are so right, Brenda! What a great way to bring some inspiration to this time of year! The Tree sounds like a great addition to my ecology unit. Hello Spring looks good. The Tree sounds good. Runaway egg sounds great to me! “Rain” is an interesting event in Arizona. the children do not go out for recess if it is raining. When it rains here, it POURS usually. I know the children have a different attitude towards rain than in areas where rain is a gentle weather phenomena.